Ubuntu Music is pleased to announce the signing of the exceptional young trumpet player, Miguel Gorodi. Born in Spain in 1990, Miguel also grew up in Saudi Arabia and Thailand before moving to England in 2006 upon receiving a music scholarship from Wells Cathedral School in Somerset. Miguel moved to London in 2008 to study Jazz Trumpet at The Guildhall School of Music & Drama and has been playing across a broad spectrum of jazz and improvised music ever since. Miguel’s music balances texture, colour, form and interweaving rhythmic structures to create evocative sound worlds for improvisers to explore within. The music is influenced by jazz musicians such as Steve Coleman, Steve Lehman, Tyshawn Sorey, Thelonious Monk and Wayne Shorter, as well as classical composers such as Louis Andriessen, Gérard Grisey, Per Nørgård and Stravinsky. Miguel uses these musical influences to communicate existential themes of meaning-making, the absurd, angst and free-will. The group recorded in April 2018 and will be releasing their debut album, Apophenia, on 24th May, on the Ubuntu Music record label. 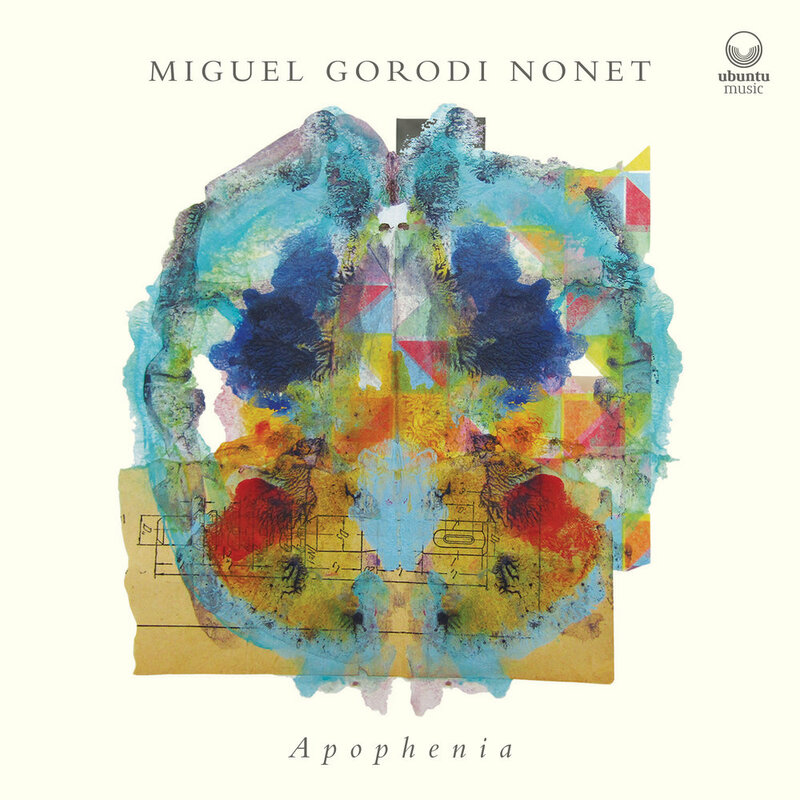 ‘Apophenia’ is scheduled for worldwide release on 24th May 2019, on Ubuntu Music. The Nonet line-up features the cream of London’s thriving jazz community, including Gareth Lockrane (flutes), Michael Chillingworth (saxes/clarinets), George Crowley (sax/clarinet), Miguel Gorodi (trumpet/flugelhorn), Kieran McLeod (trombone), Ray Hearne (tuba), Ralph Wyld (vibraphone), Conor Chaplin (double bass) and Dave Hamblett (drums). 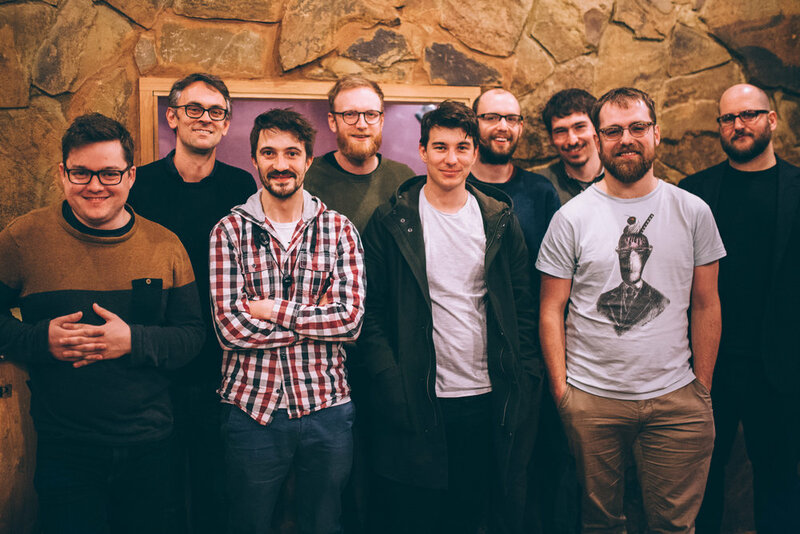 Left to Right: Conor Chaplin, Gareth Lockrane, George Crowley, Dave Hamblett, Miguel Gorodi, Ray Hearne, Ralph Wyld, Kieran McLeod, Mike Chillingworth.